Delamere Forest saw approx 3000 hardy souls compete in the HellRunner up North race last Saturday. Those Joining me at the start included several witches, a man wearing a suit (with bowler hat) and Mr Mankini! After a gentle and only slightly hilly/muddy 3 miles, we headed into the forest and that’s when the fun started. Everyone had been talking about the infamous Bog of Doom, but before that we encountered several muddy bogs (waist high), and muddy vertical type climbs all adding to the fun. About 8/9 miles in everyone had to wade through a 100 metre path of icy (….well it was really really cold ) water – all of us playing a sort of Russian roulette game – one step forward -water remained thigh deep, the next step you instantly dropped to your waist/neck and so on and so forth. Admittedly, a number of people seemed to struggle with this part of the course and this was the sting in the HellRunner run (tail). Just before the end, we reached The Bog of Doom (more mud, lots of support) and by then I and everyone else found themselves jumping in the mud even if we didn’t have to. After approx 2.32 hrs, the race was complete and medal and goody bag presented. Ok, I know the HellRunner brand/hype puts alot of runners off , together with higher than usual entry fee etc but I have to say that as along as you don’t take it too seriously, this event was well organised, with a fun and challenging course – I have never seen so many men hugging foul blankets at the end ! I’d certainly Recommend and add it to my race calendar – maybe just with a costume next time. 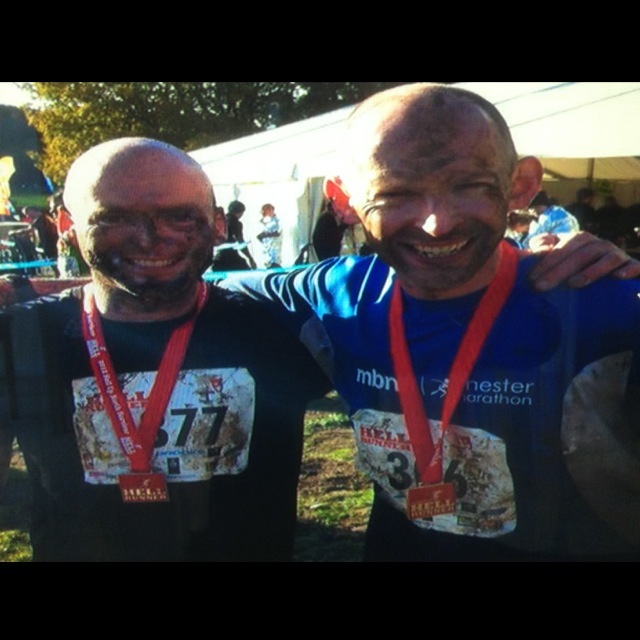 This entry was posted in Trail Running and tagged delamere, gareth boyd, hellrunner up north. Bookmark the permalink.